Summer Info - Rhythmic Sky Studios, Inc.
New this summer! Anyone that attends any summer sessions will receive a $5.00 discount off registration for the 2018-2019 season. You can now register for our Summer Sessions & Guest Teachers ONLINE!!! You can sign up for any of these camps by either coming to registration July 14th, by mailing in payment along with your students name, age, address, phone, and which camp they would like to join, or ON LINE. You are also welcome to show up at camp time with full payment to register for the camp! All summer camps are subject to cancellation depending upon signups. If a camp is cancelled, you are welcome to participate in any of our other camps or apply your cost to next year's tuition! This upbeat class introduces young dancers to jazz and hip hop fundamentals and uses age-appropriate and non-suggestive music and movements. In this class, students will be working on strengthening and flexibility along with basic floor tumbling. Moves like bridges, back bends, cartwheels, and handstands are just some of the basics that will be learned. They will also do a fun craft to take home as a keepsake. Open to all students of all ages! We have invited special guest teachers to work with the students with some unique choreography. All students ages are invited to come and experience teaching from a teacher that strives to inspire and encourage the students to think out side of the box. This week we will be working on technique and proper placement of the body. Students will also be given choreography that will be used in the fall. Students are required to have a leotard and tights only and have their hair secured tightly up. They may also wear a ballet skirt. Ballet and Jazz shoes are also required. Mr. Nathan grew up as a competitive dancer at Miss Lore's School of Dance. Upon graduation he attended Oakland University where he received his Bachelor of Fine Arts in Dance. He then taught competitive dance at his home studio, Miss Lore's in Bay City. At the end of July he will be expanding his horizons as he moves to Arizona to teach and choreograph at Starz in Motion Studio. Mr. Nathan has been working with RSS Dancers for several years and has always brought new and exciting things into the studio. Last year, we were honored to have him choreograph Winter Song, the senior competitive contemporary routine. We look forward to working with him one last time before he embarks on his new adventure. Jazzae Ford has really grown a love for dance over the 20 years that she has been dancing. She grew up dancing in Grand Rapids. During these years, she received numerous scholarships and national recognition as a dancer. In 2012, Jazzae was accepted into the Western Michigan University Dance Program. Jazzae moved back to Grand Rapids in 2014 to attend Grand Valley State University, continue dancing professionally and to share her love of dance by opening up her dance studio, Imprint Dance Company. Jazzae has a strong love for coaching, instructing, setting choreography, judging dance competitions, and teaching master classes in tap, jazz, lyrical, and contemporary for her studio, and other studios and dance teams throughout Michigan. Her choreography and teaching has been recognized and awarded at the regional and national competition level. Jazzae was a member of the Grand Rapids Drive Basketball Dance Team for two years and recently graduated from Grand Valley State University with a degree in Business (Human Resource Management). Jazzae is beyond excited to be a part of the Davenport family. Jeremy is from the Bay City area. He is a competitive instructor at Perry Woodard School of Dance and has extensive background in several styles of dance, acrobatics and competitive cheer. He is a recent college graduate and plans to pursue his love of dance. Tracy has been dancing since the age of 3. She taught at 'The Dance Studio' for 7 years. When competing with the studio, her dances won many awards and special awards. She was the Romeo JV Dance Team Coach from 2008-2010 and last year was the Powell Middle School Dance Team Coach. Tracy also was on the 2009-2010 LA Magic Dance Company, where she gained much experience working within the professional dance world. 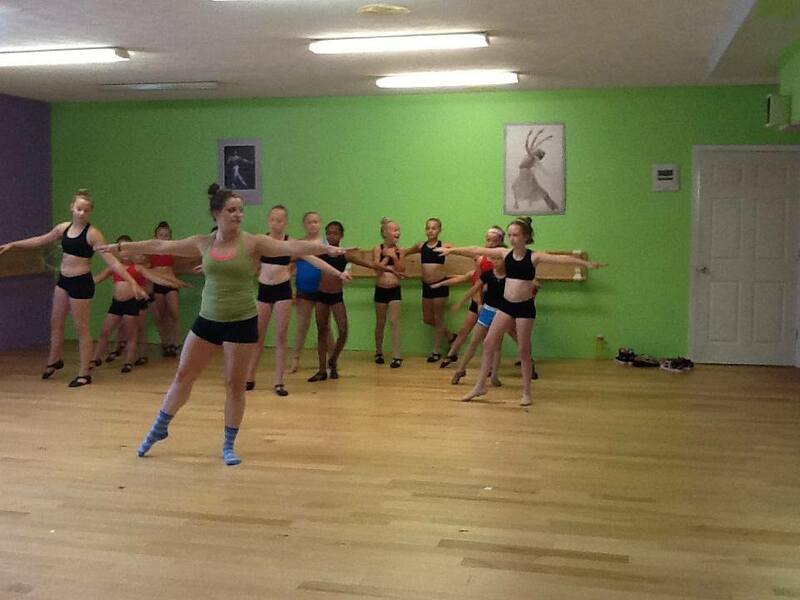 She has experience in choreographing for all age and skill levels, from beginners to college level dance teams. Tracy is a Certified Personal Trainer, a Zumba Instructor, and she has achieved a B.S. in Community Development.